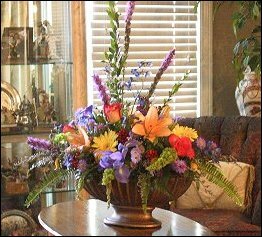 Everything looks better with flowers from Max Stacy Flowers Inc.
Max Stacy Flowers, Inc. is your premier local florist proudly serving Hamilton, Ohio and the surrounding area for over 50 years. Our business hours are 8:30 am to 5:00 pm Monday through Friday, 8:30 am to 12:00 pm Saturday and closed Sunday. You're invited to stop by our location at 350 High Street in Hamilton to browse our assortment of floral and gift items for all ages and occasions. We specialize in traditional and contemporary arrangements for all occasions, birthdays, anniversaries, get well, new baby, sympathy and just thinking of you. Our Shop Specializes in Sympathy Arrangements and Funeral Flowers ~ Ask our staff about customizing a floral tribute to a departed friend or loved one. You can depend on us to help you choose flowers that beautifully convey your expressions of sympathy and serve as a lovely memorial to the deceased. For your convenience, we offer daily delivery service to all funeral homes in the area. Browse our variety of dish gardens and green & blooming plants for a gift to liven up any room or office. Our unique gift assortment includes: adorable plush animals, candy, baby gifts, greeting cards, throws & afghans, scented candles, home décor & accessories, silk arrangements and more! Wedding, Party & Special Event Flowers ~ Whether time-honored and traditional or modern and contemporary, we design bouquets and floral arrangements to reflect each bride’s individual style and budget. Let our floral professionals help you plan a truly magical event with gorgeous, unforgettable flowers. See our Wedding Flowers page for more information! 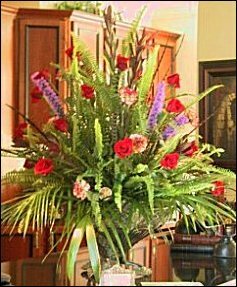 Thank you for visiting our website for flowers delivered fresh from your local Hamilton, OH flower shop, Max Stacy Flowers, Inc.!